When searching for a wedding photographer and deciding on your photography budget, keep in mind that you’re looking for so much more than a product or a bargain. You’re searching for an artist that can speak to you through their images, a crafter you can trust to blend your vision with their expertise, and a personality that can bring a sense of calmness and organization to your wedding day. Lighting is the element that will make your images go from nice to stunning. If it is at all possible to get ready in a room or area that has abundant natural light, or has a bright space or a nice big window, that is the best case scenario. Dark rooms make photos difficult and less beautiful. Image results vary in dark spaces as the photos will have “noise” and won’t be as crisp and sharp. I wish couples knew ‘wedding time’ is not the same as regular time. When you think you have a half hour for photos, you really only have 15 minutes. Weddings are very fluid, and time just seems to sneak away. Build margin into your schedule. Gently be assertive and ask your team to move quickly and stay ahead. I know you want to send me that very detailed list of photos that you’re dying to have, but your wedding is unique and you hired me for my style and experience, not for how well I can copy someone else’s wedding. I would love to see what you are thinking, but I want your session and wedding photos to be unique and meaningful to you! Trust me to capture the moments you care about. When you book your photographer, express what’s important to you and share specific moments with them. Try to give me a ‘backstage pass’ to your wedding day, so they don’t miss a moment and you can relax. Time is the hardest thing to come by on your wedding day. Always leave plenty of wiggle room, and consult with me about my needs for time so you get the images you hired me for. Convey your photographic desires with other vendors so we are all on the same page. I try to communicate with all vendors, but having the bride and groom follow up confirms the importance (e.g. to ask the DJ to wait on laser light shows until after the first dances, or making sure the DJ gives me a heads-up when the cake-cutting will begin). Please be sure your vendors know that I retain the creative lead as I direct you and your guests – they can follow, but not conduct themselves in a conflicting or distracting way. Always take advantage of doing an engagement session with me whenever possible. This enables you to become familiar with my style, approach and personality, and will aid in making your wedding day that much more relaxed, fun and meaningful. Not to mention you’ll have plenty of photos to use creatively before, during, and after your wedding day! Check out why it’s a really good idea to get engagement photos done by Clicking Here. 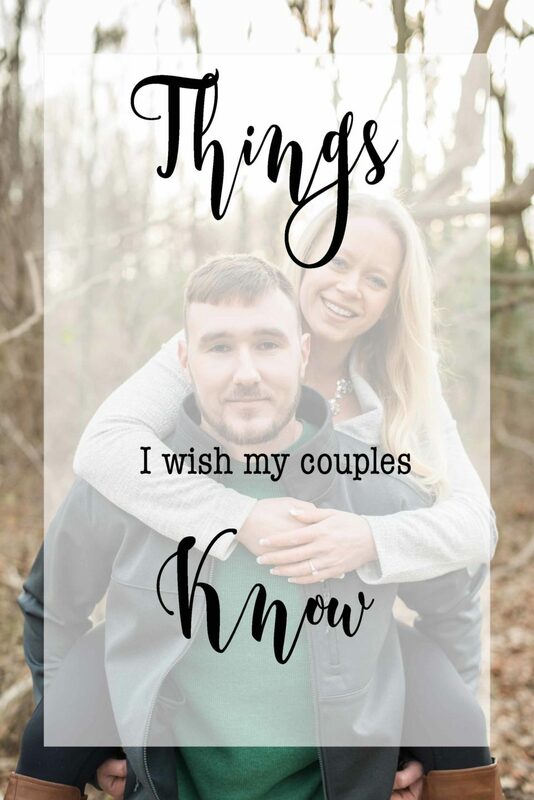 Also, Click Here to see ideas for engagement photos. I wish my couples knew that the photography timeline of the wedding day is usually what dictates the schedule for the whole wedding day (make-up, getting ready, family portraits, ceremony time, cocktail hour), and it is best to talk to me early on in the planning process. In general, my recommendation is for you to keep the portrait list as short as possible. One thing that is super important is meeting before the wedding, even if it’s not for engagement photos. It makes me feel less like a vendor and more like a friend, which in turn relaxes the whole day! I want to click with my clients. I’m sure you want to click with me! That will make for much nicer photography! Ask questions, don’t be shy. An open line of communication is fundamental for smooth photography coverage. Let your me know if someone in the family doesn’t get along with others, if there is a special dish you want to have photos of, or if a family member may be affected by flash or strobe lighting or has special needs. The passionate photographer is the photographer who will not only go above and beyond for you on your wedding day, but will listen and try to capture each and every moment with purpose. In saying this, please read my reviews on WeddingWire. The couples who take the time to explain why they loved their photographer in full detail are the couples who hired a passionate photographer and felt the need to passionately give thanks in a review. I aim to not only create stunning photography for you that you will absolutely love, but to win your favor, referrals, and exceptional reviews! When budgeting and planning for your flowers, I always recommend that you spend as much as you possibly can on the most elegant bridal bouquet your budget can afford. Why? Simply because in most of the photos I take, its your bridal bouquet that will show up, not the other flowers you purchased. Sure, I’ll take pictures of those too, but the more unique your flowers are, the more artistic and appealing the photos will be. Wow your friends and family. Don’t settle for plain. For 50 great ideas from Martha Stewart Weddings, CLICK HERE.